Greece is set to implement a solar policy widely used throughout the US — net metering. 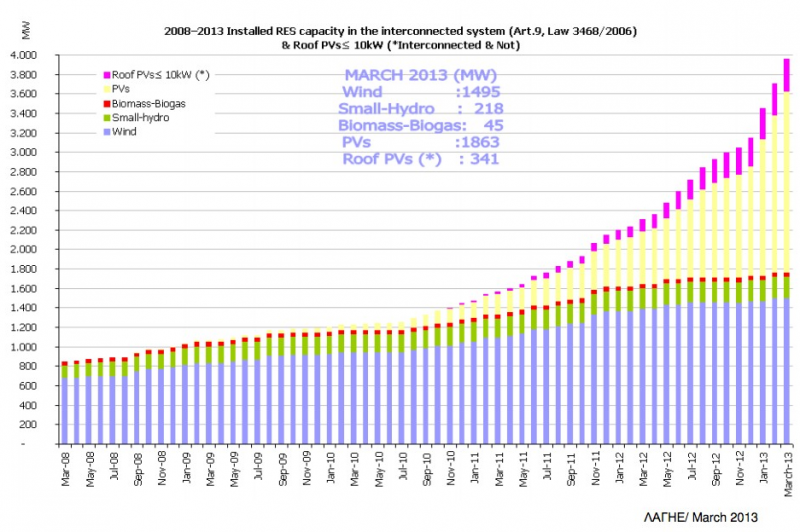 However, the solar PV industry in Greece isn’t thrilled about it. Greek Deputy Minister of Environment, Energy and Climate Change Asimakis Papageorgiou has said that, in most circumstances, households and businesses will be able to export any electricity they produce from solar PV panels or small wind turbines into the grid, and be paid for that. In cases where a local distribution grid does not have the capacity to absorb the solar power produced, net metering installations will still be permitted as long as the balance of the network is not threatened. However, Papageorgiou added that there would be no payments for any surplus energy injected into the network after offsetting the energy produced and consumed at the end of each metering period. Thus, electricity grids will absorb any surplus power produced, but will not be obliged to pay for it. However, HELAPCO does support the idea that individual energy producers should be subject to maximum annual credit amount. In addition to the above, HELAPCO argues that “the cost of connecting a Greek household solar PV system to the electricity grid” should be much lower. In Greece, this fee is €800 to €1,000 plus VAT. In contrast, it is only about €150 and €250 in Germany and Cyprus. The net metering policy is a partial replacement (of sorts) for the drastic, 40% cut in Greece’s solar PV feed-in tariffs that were announced in May. Adding 793 MW of solar PV power capacity in quarter 1 of 2013, solar PV became Greece’s #1 renewable energy source (in terms of installed power capacity), hitting 2.2 GW. This new bill is supposed to go to parliament this month.